The Palestinian Authority has exposed Israeli construction companies making fraudulent documents to build Israeli settlements on Palestinian land. The case, which was lead by Mohammad Elias who heads the Settlement and Wall file for the PA, revealed that 25 documents were forged by Israeli companies in the village of Marda in Salfit. Elias added that the Palestinian Authority is now investigating the fraudulent documents in other areas of the West Bank and will use all necessary legal measures against the Israeli construction companies. Palestinian Activist Jumal Jumaa told us that these fraudulent practices have been taking place by the Israeli's since the 1970's. The discovery of the documents were revealed following Israel's plans to build a new road between the Israeli settlement of Maale Adumim and Jerusalem al Quda, which would be a Jewish only road and confiscate more Palestinian land. Human rights groups have warned that with the help of these false documents, Tel Aviv is expanding the illegal settlement construction at a rapid rate. The rights groups have urged the Palestinian Authority to take Israel to the International Criminal Court. The residents of Silwan district in east Jerusalem managed on Monday to prevent workmen sent by the Israeli antiquities authority from closing a residential alley in Wadi Hilwa neighborhood in order to carry out diggings. Senior official of Wadi Hilwa information center Ahmed Qara'ein said that the workmen brought with them tin sheets and wires as a prelude to closing part of the entrance to a residential alley in Wadi Hilwa and carry out diggings. Qara'ein noted that the workmen did not state the reason for their diggings and how long they would be taking place. He affirmed that there are more than 25 homes inside this alley and its partial closure would restrict the movement of the residents and make it impossible for them to bring any piece of furniture into their houses because the passage is too narrow, noting that the tin sheets, if installed, would block the sunlight from getting to the alley. He also noted that some people with special needs uses wheelchairs and could not leave their homes if the works started. Qara'ein said that the workmen refused to show any work permits and got involved in a verbal altercation with the residents before they left without initiating the works. Land owners in Um Al-Arayes hamlet to the east of Yatta town in Al-Khalil said that the Israeli occupation authority (IOA) has not returned their land back as ordered by the higher court. Mohammed Awad, the coordinator of the committee against settlement in Yatta, said that three owners of the 120 dunums of confiscated land asked on Tuesday for their land back. He said that Jewish settlers seized the land by force 13 years ago and installed caravans and hothouses on it. He recalled that the higher court a week ago ordered the return of 120 dunums out of the confiscated 288 dunums in addition to the payment of a 12,000 shekels fine. One of the land owners, Ismail Awad, said, “We will continue to defend our land until we restore it in full”. He called on the international and human rights organizations to stand by their side until they restore their land as ruled by the court. The Israeli Municipal authorities in Jerusalem have handed on Monday demolition orders against 4 buildings in Shuafat, Beit Hanina, and Silwan. 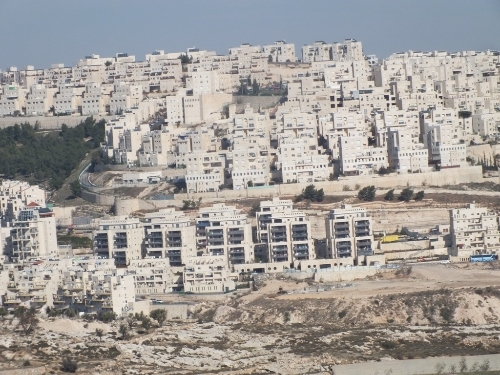 The lawyer Zied Abd al-Majid said that the mentioned buildings in Shuafat consist of 6 apartments, explaining that one of the houses was established since 1999 under a construction permit, however the Israeli authorities canceled the permit under the pretext of violating the construction law. The lawyer added that the Israeli Jerusalem Municipality started renewing the demolition orders against Jerusalemite houses asking the residents to demolish their houses by themselves to avoid the demolition expenses. In another context, the Israeli occupation continue its repressive measures in occupied Jerusalem, where Israeli border guards attacked on Monday evening a 13-year-old Palestinian child using pepper spray. The child's father said that his son was standing waiting for him near Bab al-Sahera when Israeli soldiers stopped their vehicle and sprayed pepper spray on the child's eyes while. The child was transferred to Hadassah Ein Karem hospital, the father said, pointing that a video documenting the attack was handed to the Israeli police in Jerusalem. Meanwhile, Israeli forces arrested a child from Issawiya town in occupied Jerusalem after storming his parents' house and took him to al-Maskoubiya detention center. 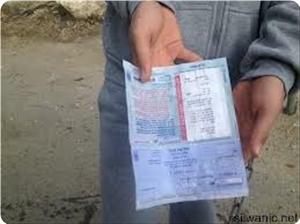 The Israeli soldiers also arrested a Jerusalemite youth from Beit Hanina and took him to unknown destination. A 13-year-old child was also arrested in the Old City in Jerusalem for throwing a Molotov cocktail at an Israeli outpost, while his father confirmed that his child has no relation to the incident. 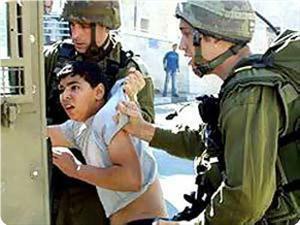 The Israeli police has arrested last week the child's brother, 15, and extended his detention to June 20. Meanwhile, the Israeli authorities released on Monday the Jerusalemite prisoner Mohammed Jamal Mahmoud from Issawiyya, after spending two and a half years in Israeli jails. Israeli Authorities issued deportation orders to eight families who live on the lands of Beit Hanina village, north of occupied Jerusalem. Local sources said that Israeli forces handed deportation orders to al-Ka'abna families that include 53 members. Since the early hours of the morning, the residents of the village staged a sit-in in an attempt to stop the implementation of the deportation orders. Fatah Revolutionary Council member, Dimitri Diliani, said that the al-Ka'abneh families have been suffering for a long time, since the establishment of Atarot settlement industrial zone and the Apartheid wall on the village's land. Diliani added that the suffering of these families is still going and escalating, and that they face the mass deportation. Diliani stressed that the deportation orders come within the framework of a policy of ethnic cleansing practiced by Israel on the Palestinian Occupied Territories, especially in Jerusalem. One Palestinian was shot and injured by a live round fired by a guard of the Oranit illegal Israeli settlement, built on lands that belong to residents of Azzoun Al-‘Atma village, south of the northern West Bank city of Qalqilia. Eyewitnesses have reported that the guard fired several rounds of live ammunition at Palestinian day laborers trying to cross into the Green Line [Israel]. 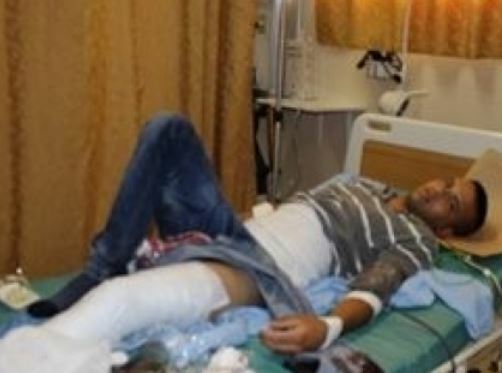 One of the live rounds hit Abdullah Imad Al-Barry, 20, in his leg causing moderate injuries; he was moved Dr. Darwish Nazzal hospital in Qalqilia. In related news, the army kidnapped nine Palestinians in the West Bank district of Nablus, and one Palestinian in Hebron. Furthermore, several armored Israeli military vehicles invaded an area east of the Al-Maghazi refugee camp, in central Gaza, no clashes or injuries were reported. Soldiers repeatedly carry out limited invasions into Palestinian areas, close to the border in the Gaza Strip. 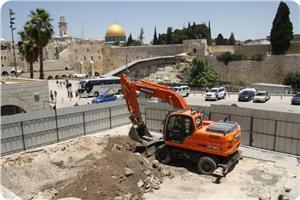 The soldiers usually uproot and bulldoze Palestinian lands and property close to the borders. Dozens of casualties have been reported during numerous invasions into the coastal region, including day laborers, farmers and scrap metal collectors working in Palestinian lands close to the border. Israel imposes off-limited areas close to the border in Gaza and constantly opens fire at workers and farmers working in their lands. Israeli municipality teams accompanied by occupation forces served demolition notifications in Silwan suburb in occupied Jerusalem on Monday. The Wadi Hilwa information center said that the teams took shots of Silwan suburbs, alleys and houses then glued the notifications on a number of them. It said that the team glued one such notification on a car wash and another on Wadi Hilwa playground, where no building is established. The center pointed out that the threatened buildings include several apartments and their demolition would render dozens of people homeless. Aryeh king, director of the Israel land fund and a henchman of Zionist millionaire Irving Moscovich, revealed plans to seize Palestinian property and carry out settlement projects in occupied Jerusalem. King said on his facebook page that the coming stage would see the launch of what he described as great projects in the Palestinian areas of Sheikh Jarrah, Semiramis, Tur, Ras Al-Amoud and Beit Hanina. He added that a court hearing would be held during the current month to study an Israeli request for the eviction of 14 Palestinian families from Jerusalem and the confiscation of 4,400 square meters of property as part of a project to consolidate Israel's control over the holy city. 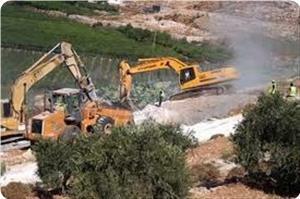 The Israeli occupation authority (IOA) bulldozed Palestinian fields in Khilat Al-Ein area between Tur and Issawiya village in occupied Jerusalem and arrested a Palestinian for trying to stop the bulldozers. Local sources said that Israeli occupation forces arrested Khader Abul Humus, a member of the follow up committee in Issawiya, for participating along with others in confronting the bulldozers. The sources said that the Israeli bulldozers were destroying cultivated land to pave the way for constructing streets serving the serious settlement project E1, which targets seizing more than 700 dunums in the area and practically isolates Jerusalem from the West Bank. 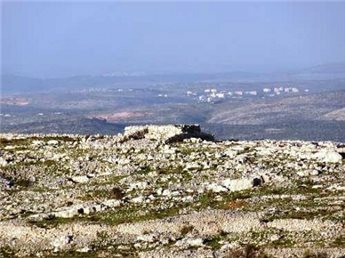 Raed Abu Rayala, the spokesman for the follow up committee in Issawiye, said that the IOA was planning to build parks for settlers in the area over 740 dunums. 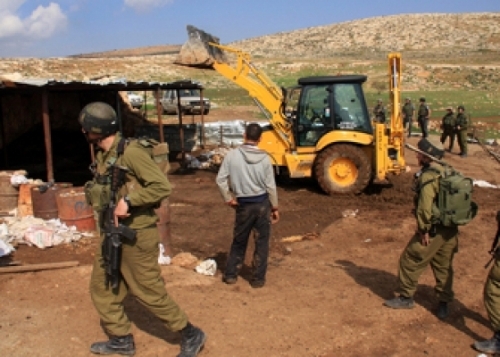 IOA bulldozers recently demolished a number of houses for Palestinian citizens in Khilat Al-Ein to wipe out any Palestinian presence in the area. 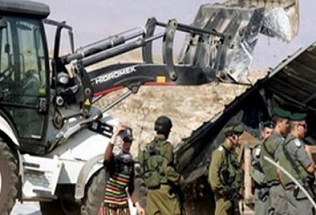 Israeli occupation forces (IOF) demolished on Saturday the village of Kanaan 3, which had been established by Palestinian and foreign activists on lands near the village of Surif near al-Khalil, south of the West Bank. The activists and organizers of the event told Quds Press's correspondent that the Israeli soldiers attacked them and demolished the tent they had erected near a checkpoint in the village of Surif. They added that the tent was erected in an expression of their rejection of the occupation policy of land confiscation, and the continued erection of checkpoints at the entrances to West Bank towns. One of the activists revealed that the event was organized by the popular committees in the south of the West Bank. The tent was scheduled to be erected near Etzion settlement complex; however due to the soldiers' intensive presence, it was set up in the area of Jaba. The activist added that large Israeli military forces arrived to the place, suppressed the participants, and destroyed the tent. The Israeli soldiers arrested 3 activists following clashes that erupted between the two sides. 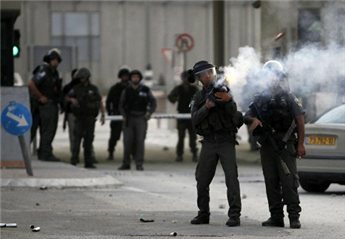 Some other activists suffered suffocation due to tear gas and stun grenades fired by the occupation soldiers. 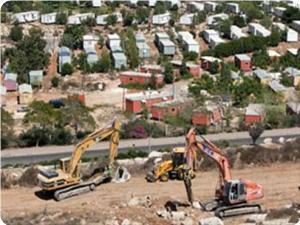 Israel plans to seize the land of Kanaan village to expand their illegal settlements. Khalil Tafakji, the settlement affairs expert and director of the maps section at Orient House in occupied Jerusalem, warned of Israeli plans to confiscate lands in Sawwanah area eastern the Old City of Jerusalem. He referred to the Declaration submitted by an Israeli lawyer on May 28 that gave several Palestinian families a 30-day deadline to appeal against the Israeli claims of their ownership to the land. Tafakji told the PIC that the Palestinian families in Sawwanah area have official documents that affirm their ownership to the land. However the Israeli occupation authorities (IOA) ignored these documents in order to implement their settlement projects. The Palestinian expert pointed to the Israeli scheme to build 22 settlement units in the neighboring area which reinforces the Israeli Judaization plans to turn the area into a mosaic of settlements. He said that the IOA constructs museums and buildings related to the Jewish and Talmudic heritage in order to change the city’s Arab and Islamic landmarks and to bring more settlers to the area to reinforce the Israeli control over the area. 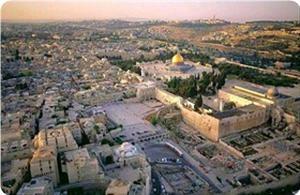 Tafakji added that the IOA prevented the Palestinian construction in a large part of the Old City of Jerusalem while allowing free building of Israeli settlement units. He warned of the Israeli government's decision to expand the implementation of the Israeli law of seizing the "absentee property" in Jerusalem, saying that the Palestinians now only own 13% of Jerusalem. On the 46th anniversary of the Naksa, Tafakji said that in 1967 there was no Israeli presence in the holy city, however today there are 200 thousand Israelis in the city. There was not one Israeli settlement unit in Jerusalem before 1967, while today there are 42 thousand Israeli settlement units in the city, he noted. Before the Naksa, Palestinians were controlling 100% of Jerusalem but today they only own 13% of the city, he said. The Israeli occupation authority (IOA) initiated a plan to build a new road connecting east Jerusalem with Ma'ale Adumim settlement in the West Bank. The plan was sanctioned despite international criticism of Israel's settlement activities in the occupied Palestinian territories, especially its E-1 settlement plan which would divide the West Bank into two parts if implemented. A senior Israeli municipal official in Jerusalem said that the planning commission of the municipal council approved the plan last Wednesday. He explained that the new road is part of the E-1 project in east Jerusalem and aimed at creating territorial contiguity between the settlements and outposts in the holy city and Ma'ale Adumim in the West Bank. For her part, Peace Now official Hagit Ofran stated that the new part of the road is about 100 to 200 meters long, but it would have a great political impact. Israeli premier Benjamin Netanyahu had already declared that his government would activate the E-1 plan, which has been frozen since 2005 following international pressures. An Israeli human rights organization confirmed that the Israeli occupation works continuously to impose its full control and colonization over area C in the occupied West Bank which was put under Israeli civil and security control according to Oslo accords. "Israel’s policy in Area C is anchored in a perception of the area as meant above all to serve Israeli needs. Consequently, Israel consistently takes actions that strengthen its hold on Area C, displace Palestinian presence, exploit the area’s resources to benefit Israelis, and bring about a permanent situation in which Israeli settlements thrive and Palestinian presence is negligible", according to a report Issued by B'Tselem, an Israeli human rights organization. The report affirmed that through its actions, Israel preserves a de facto annexation of Area C and creates circumstances that will help perpetuate this state and influence the final status of the area. Israel aims to impose sovereignty unilaterally on Area C and then grant Israeli citizenship to Area C’s local Palestinian residents, who number 50,000, the report said. The report of the organization stated that “60 percent of West Bank lands have been classified as “Area C” and are under full and exclusive Israeli control. Area C is home to an estimated 180,000 Palestinians and includes the major residential and development land reserves for the entire West Bank”. The report noted that construction and development on some 70 percent of Area C territory are prevented by Israeli authorities under various pretexts. The occupation authorities refuse "to recognize most of the villages in the area or draw up plans for them, prevents the expansion and development of Palestinian communities, demolishes homes and does not allow the communities to hook up to infrastructure." As long as Israel controls the West Bank, including Area C, it must meet its obligations under international law and human rights law, the organization stated. 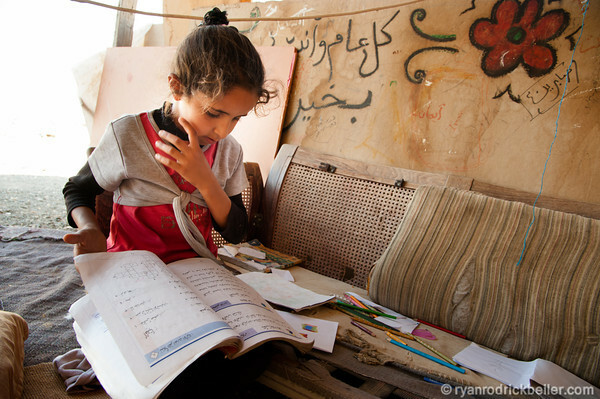 Jahalin Bedouin student studying in al-Khan al-Ahmar, near Jerusalem. Israel has announced construction of a large-scale village near Jericho that planners are calling a "dump site" for Palestinian Bedouins residing outside of Jerusalem. Mondoweiss became aware of the relocation after the Israeli daily Ma'ariv published a locality in the Jordan Valley was given a greenlight for construction. The initial Israeli report presented the village, "Nueimah," as a rare, but innocuous example of new legal construction in the West Bank set to accommodate overpopulation. The locality will "make land pirated by Palestinians legal holdings" said a member of the government to Ma'ariv, explaining that the village was for those inhabiting areas of the West Bank without Israeli verified deeds, such as the Jahalin. Representatives for the Bedouin are now awaiting the customary publication of a detailed notice, which will open the 60-day period for public filings. However, the program was first documented last fall as a transfer plan. The Civil Administration, the Israeli bureaucracy handling building permits in the West Bank, approached several communities near the E1 area, a land corridor between West Bank settlements and Jerusalem, and inadvertently left behind plans of their intentions. While officials were meeting with residents in one of the villages, al-Khan al-Ahmar, a Jahalin Bedouin community of historically nomadic peoples from the Negev, but forcibly moved in the 1950s, they left behind a document outlining the plans for transfer. 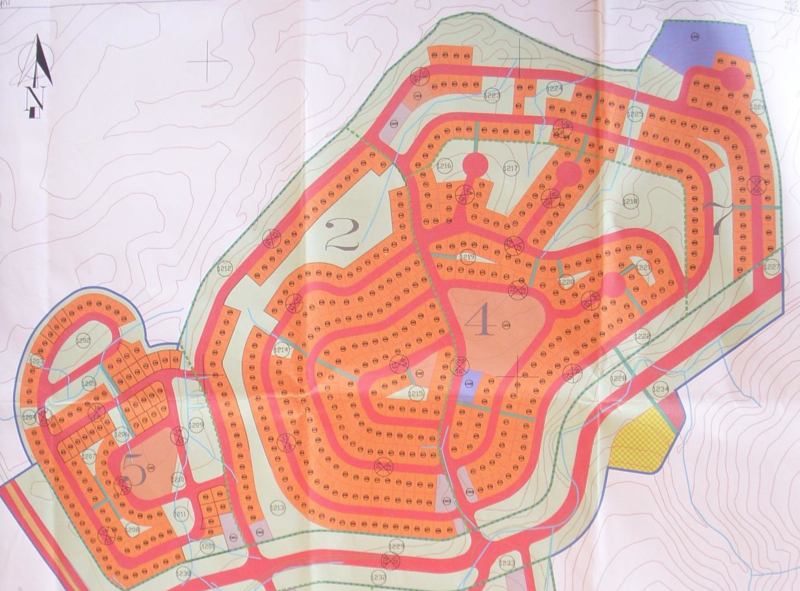 Now kept rolled up in one of the village tents (shown to Mondoweiss earlier this year), the marked map highlights the proposal to moved the community. 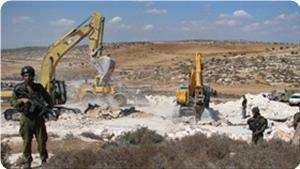 Separately the Israeli planning rights group Bimkom obtained a detailed scheme of Nueimah. Thus far 800 plots were allocated for the use of 400-500 families. And when the Civil Administration visited al-Khan al-Ahmar, it was these plots that were offered free of charge to the Jahalin. "It's totally motivated by political inspirations to try to push as many Bedouins into Area C, near Area A," said Shlomo Lecker, an Israeli human rights attorney representing al-Khan al-Ahmar. Lecker has been working with the Jahalin Bedouin for over a decade, but said the Nueimah plan is the most far-reaching yet. According to Lecker, the proposal to move the Jahalin was initated 13 years ago. At the time residents petitioned the high court and eventually the plan was rejected. But subsequent transfers have been carried out. 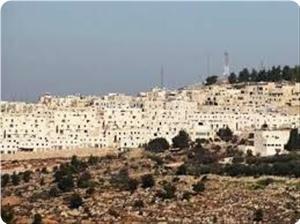 Two years ago the Jahalin and Lecker worked with government planners to develop a suitable new locality near Abu Dis. 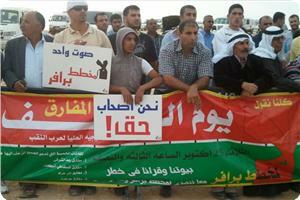 But the Nueimah plan appears to be a comprehensive effort that could relocate the 3,000 remaining Bedouins. But the Bedouins do not want to leave—and for good reason. Although in their current location they face demolitions if buildings are constructed from materials other than shanty tents, there is no electricity or running water, and the only sewage that runs there is the spillover from nearby settlements, the Jahalin have managed to supplement their lack of grazing lands with United Nations food parcels and labor outside of the community. By comparison the new site offers no terrain suitable for subsidence living and is far from aid serivces and employment. "It's up on the top of a mountain with no shade, no work, 46 degrees (114 degrees Fahrenheit) in the summer," said Angela Godfrey-Goldstein, an advocacy officer with the Jahalin Association, al-Khan al-Ahmar. Some of the land belongs to other Palestinian villages and "it's next to the main Palestinian preventive security compound on one side, the village of Nueimah, an Israeli settlement, and an Israeli checkpoint," she continued. Because Nueimah is enclosed by structures, the Jahalin have wholly rejected the plan. Instead they are working with Lecker to develop an alternative that allows them to stay, albeit legally and with access to roads and public services. Aside from the coveted proximity to Jerusalem, Nueimah is part of a now defunct Oslo-era agreement to transfer Palestinian communities from Area B and C to Area A. Back in the time of negotiations when the delineated zones of security control (Area A, B and C) were established, one of the stated goals was to overtime shift territory to the Palestinian Authority (PA) in preparation of a future Palestinian state alongside Israel. 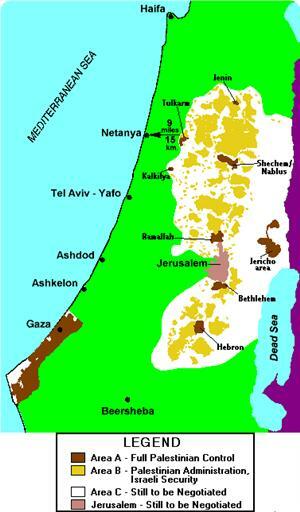 All together up until 1999, 17% of Area B and C was transferred to Palestinian civil control. By relegating these communities into Area A, Israel achieved the dual goal of reducing the number of Palestinians in Area C for future land grabs or swaps, and fulfilling the Oslo tenet of limited Palestinian soverignity. The Nueimah plan sets the stage for a future territory swap where Palestinians will lose out on residency rights to geographically key land in exchange for a wasteland in the desert. In 1967 there were 350,000 Palestinians living in what is now Area C. Today there are only 150,000 left, a number that Israeli politicians have mused as acceptable to integrate into the Jewish state. But Godfrey-Goldstein warms, "forced displacement unless it's a military necessity is absolutely forbidden under the Geneva Convention." The Negev Arabs High Steering Committee, in southern 1948- occupied Palestine, decided to go on a one-day mass hunger strike in the Negev on the 13th of June. The Steering Committee has also announced organizing a demonstration in front of the Israeli government offices in the city of Beersheba, in protest against the Praver settlement plan, the escalation of the repeated campaigns of houses demolition, and the police attacks. It called in a statement on Tuesday on all Palestinians in the 1948-territories, the local authorities and the NGOs to join the march and the hunger strike. For his part; Chairman of the Committee lawyer Talab al-Sania slammed the Praver law and warned the occupation State of the repercussion of its implementation. Israeli occupation forces (IOF) razed four houses north of Jericho on Tuesday and destroyed four other tin houses owned by Bedouins in the area. Local sources said that the four bulldozed houses were owned by four brothers. They charged that the step fell in line with the Israeli occupation authorities’ efforts to Judaize the Jordan Valley. 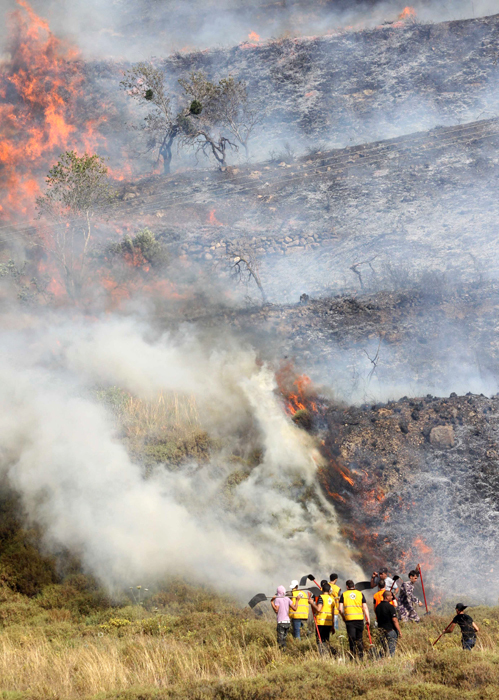 Huge fires gutted through Palestinian farms to the east of Khan Younis, in the southern Gaza Strip, on Monday evening after Israeli soldiers fired at them. A field observer told Quds Press that Israeli occupation forces (IOF) positioned east of Khan Younis opened heavy gunfire at Palestinian cultivated land in the Farahin area. He said that a huge fire resulted, adding that Israeli F16s were flying over the area at time of the shooting. The shooting comes as the latest in a series of breaches of the calm agreement reached between the IOF and resistance factions in Gaza last November under Egyptian auspices. Eyewitnesses have reported that dozens of Israeli military jeeps, accompanied by an armored D9 bulldozers, invaded the An- Nuwei’ma area, north of the West Bank city of Jericho, and demolished four homes, and four sheds. 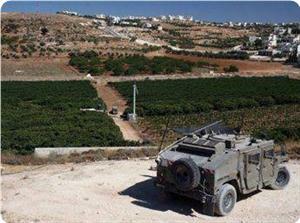 The Palestinian News & Info Agency (WAFA) have reported that the army surrounded the area before invading it. WAFA added that the demolished homes belong to four brothers identified as Shafallah, Hussein, Suleiman and Mohammad Az-Zayed, and that the demolished sheds belong to residents Saleh Ar-Rashayda, Taiseer Ar-Rashayda, Ismael Ar-Rashayda and Ibrahim Zeid. On Monday May 27 2013, Israeli soldiers invaded the Al-Jiftlik Palestinian village in the Jericho district, and demolished three homes, two hothouses and two barns. Israeli Army Radio reported that Palestinians from the village of Dura al-Qari'a will demand the Israeli High Court of Justice to order the complete evacuation of the West Bank settlement outpost of Ulpana. The Israeli court ruled in June 2012, the evacuation of five settler's homes that were built in the Ulpana settlement without proper permits on private Palestinian property. Settlers agreed to voluntarily evacuate their homes and have the buildings relocated to the nearby Beit El settlement by July 1. The Palestinian petitioners say that the rest of the buildings in the outpost were also built on private Palestinian property and that they should be evacuated. Dror Ateks, who represents the petitioners, told Israeli Army Radio: "The state will have to decide whether it prefers a political crisis with the settlers, or a legal crisis, at the end of which Israel will completely divorce itself from being a democratic state." 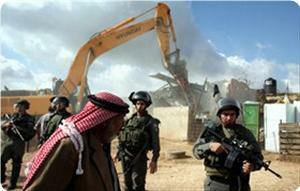 Israeli bulldozers demolished four houses and four barracks m north of Jericho. 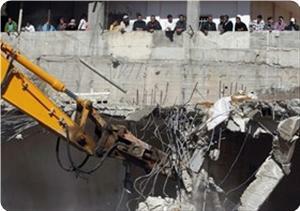 Sources said that the demolished houses belonging to four brothers from al-Nawemah area, north of Jericho. The demolished houses belong to Shafa Allah, Saleh, Hussein and Sulaiman al-Zayed, while the demolished barracks belonging to Saleh, Tayseer and Ismael al-Rashaydeh and Ibrahim al-Zaid. It's worth mentioning that Israeli authorities continue their demolishing process in the Jordan Valley areas, in an attempt to deport their residents and seize the land for settlement purposes. Israeli High Court of Justice allowed an Israeli construction company to carry on with the construction in Alei Zahav settlement that was built on a private Palestinian property. 'Zahav' Company is constructing another 150 settlement units within a plan that includes the construction of 700 units to expand the settlement. The settlement is constructed on a private Palestinian land belonging to the resident Shahrat Abu Sharifa, a Palestinian woman from Kufr Deik village. The company has confessed it annexed the private land by "mistake" to the structural map of the new settlement neighborhood and that the land is used as a road leading to the area where the settler's buildings are built on. Yet, the company refused to evacuate the land. The Palestinian Abu Sharifa, through the lawyer Alaa Mahajneh, is to ask the Israeli court to evacuate the invaders from her land, yet the court claimed settlers who bought the settlement buildings will be affected by the absence of an alternative routes for the road that passes through her land, therefore the court gave the authority to the company to use the land for another year until they find an alternative road. Israeli soldiers fired dozens of tear gas canisters at a group of students and other civilians protesting an Israeli demolition order on Monday. The protest was not organized in advance, but broke out spontaneously in the Abu Dis neighborhood of East Jerusalem when Israeli Civil Administration officers, accompanied by armed Israeli troops, entered the neighborhood to issue a demolition order. The demolition order issued by the Israeli officials ordered the destruction of a building owned by Ibrahim Abu Sneina. Earlier on Monday, the officials issued a demolition order to the owner of a building in Beit Hanina which is home to twenty people. 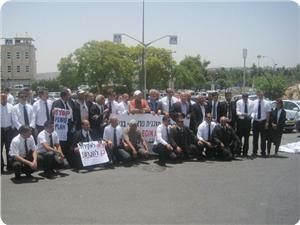 Students from Al Quds University joined the local residents in protesting the order to demolish their homes. Israeli troops responded by firing multiple rounds of tear gas in rapid succession. One female student fell and injured her face while running from the tear gas. No other injuries were reported. Israeli officials claimed that the building was constructed without a permit. Since 1967, Israeli officials have refused to issue Palestinian homeowners permits to construct or expand any homes or other buildings. In Jerusalem, the Israeli government has developed a plan to displace tens of thousands of residents through demolition of existing homes, known as the 'Jerusalem E1' plan. 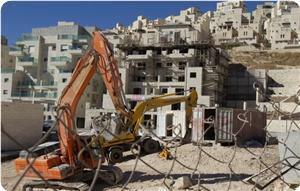 Over 30% of the Palestinian residents of Jerusalem are at risk of displacement under this plan. The Palestinian ministry of foreign affairs demanded the Arab League to assume its ethical and legal responsibilities towards the Palestinian people and help them face the Israeli violations against their land and property. This came in response to the Israeli decision on Monday to annex 370 dunums of Palestinian agricultural land in the villages of Awarta and Rujeib to the east of Nablus city. The ministry said it is deeply concerned about Israel's plan to annex more Palestinian lands in Nablus to expand Itamar settlement. It considered that Israel's annexation plans in the occupied Palestinian territories are part of a large settlement project aimed at ending the Palestinian presence in all parts of historical Palestine. It urged the Palestinians in Nablus to uphold their rights and stand up to confront Israel's settlement expansion on their lands, and called on the Palestinians in diaspora to stand by their compatriots at home and support their struggle to restore the usurped rights. The foreign ministry also demanded the Arab and Islamic countries to use their influence in international conferences to force Israel into abiding by the international law and stop all its settlement activities in Palestine. Israeli occupation forces (IOF) informed inhabitants of Awarta village, near Nablus, that 400 dunums of their land would be confiscated. Ghassan Daghlas, monitoring Israeli settlement activity north of the West Bank, said on Monday that the dunums stretch between Awarta and Rujaib villages. He said that the land is cultivated and is vital for citizens in both villages, adding that the notification was handed to the chairman of the municipal council in Awarta. The confiscation comes only few days after Jewish settlers in Etamar settlement, established on lands of Orta and nearby villages, chopped down 600 olive trees in a bid to expand the settlement. Sami Awad, the chairman of the municipality in Awarta, denounced the confiscation in a statement to the PIC, adding that the step is meant to force citizens to abandon their land. The Israeli Procedures and Collections Department raided last Monday the house of Hazem Abdeen in the village of Bet Hanina north of Jerusalem to seize all of the house’s properties, under the pretext of accumulation of property tax debt. Abdeen explained that the employees along with Israeli police raided his house in the early morning hours to seize all the properties, but he refused to open the door, and so they threatened him that he would be arrested and they would blow out the door and get it, and then the forces withdrew from around the house. what the lawyer told him, noting that they tried to raid his house one more time in the afternoon hours but he still refused to open the door. He noted that he is committed to paying the property tax on his house for the past 5 years, and is also paying the accumulated debt after making a settlement in court with the Procedures and Collections department to make monthly payment, but he was surprised when his accumulated debt file was reopened, which is around 250 thousand NIS. He also said that he is currently unemployed and stated that eight individuals live in the house. He also mentioned that he was harassed by the Procedures and Collections Department in the past, where they seized a lot of the house’s properties. Hajj Talal Abu Sarah and his sons filed a claim on Sunday to the police investigation unit through their lawyer Mohammad Awad. They asked to investigate the borders security police who raided their car dealership located in the industrial area of Qalandia north of Jerusalem. 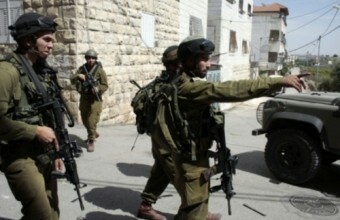 Around fifty Israeli soldiers who were dressed in civilian clothes (sports clothes) attacked four individuals from Abu Sarah family last Tuesday and wounded and bruised them. He continued: “the group individuals called the police in Atarot, and a car came and arrested my father and my brothers Rami and Mansour, and then arrested the group individuals, noting that while being in the police station and while being investigated they were attacked one more time and were also verbally abused as one of the soldiers claimed that we threw stones and attacked them. Raed said that Rami was taken to the hospital in an ambulance, while our father and him were released around 3 a.m. the next day; Mansour was also released the next day with no conditions. During the incident, Hajj Talal 63, was wounded in his hand as he was hit with a metal, Raed had injuries in his rib cage and Rami was injured in his head and rib cage while Mansour suffered several bruises. In its monthly report, the Settlement and Wall Information Center said that May has witnessed an Israeli escalation in settlement building, demolition processes, and settlers' attacks. Nealy 600 housing units were established in May, in addition to the demolition of 50 Palestinian facilities, the burning of about one thousand dunums, and 148 assaults on Mosques, the report said. The report also referred to the Israeli continued Judaization projects in occupied Jerusalem including the monorail project that will facilitate the arrival of thousands of settlers to the Buraq Wall and the excavation process at Umayyad palaces south of al-Aqsa mosque as a prelude to establish the so-called house Strauss Jewish center. Israeli raids into al-Aqsa mosque and settlers' attacks on Islamic and Christian religious sites have escalated during May, according to the report. The report documented 50 demolition cases, where 17 houses were demolished in Jenin, 16 other facilities were demolished in occupied Jerusalem, 8 others in Jericho and 6 in al-Khalil, in addition to 3 demolished houses in Bethlehem. The report also noted that 69 houses are threatened with demolition. 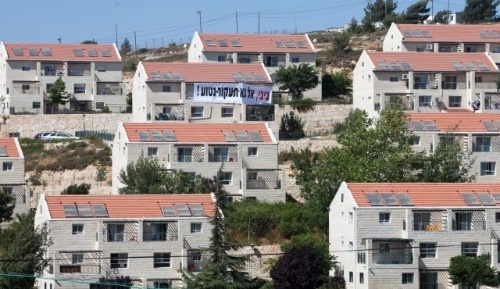 The monthly report confirmed that the Israeli government approved the establishment of nearly 600 housing units including 296 housing units in Beit Eil settlement built on Ramallah land, 121 housing units in Givat Ze'ev built on Jerusalem lands, in addition to other settlement projects in Tukarem and al-Khalil. The center affirmed in the report that 977 dunums in Ramallah, Nablus and Qalqilya were burned in addition to damaging 2,988 trees in Nablus, Ramallah and al-Khalil by the Israeli settlers who escalated their attacks against Palestinian farmers where 45 of them were injured. 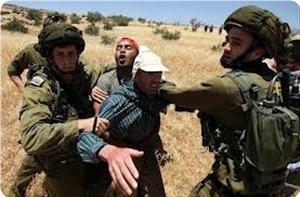 The report also stated that many peace activists and journalists were injured during the the repression of peaceful marches against the wall and settlements in Nabi Saleh, Bil'in, Kafr Qadum, Maasara, and Beit Ummar villages. Arab Knesset members participated on Sunday in a rally organized by the Arab lawyers outside the headquarters of the Israeli premier in the occupied western side of Jerusalem. They rallied in protest at Prawer-Begin plan which is aimed at transferring the Bedouin natives of the Negev from their villages. The lawmakers stated in speeches during the event that this plan poses a threat to the future of about 200,000 Palestinian Bedouins who make up 32 percent of the total population of the Negev region. They said that the Negev Bedouins are marginalized and live in miserable conditions, while the Israeli settlers, living there, enjoy a luxurious life without any restrictions. They demanded the Israeli government to recognize all Bedouin villages in the Negev and the right of their residents to the land of their ancestors. They also called for developing these villages instead of demolishing them and stopping dealing discriminately with its people. The Israeli government announced Monday it decision to illegally confiscate 370 Dunams (91.42 Acres) of Palestinian lands, east of the northern West Bank city of Nablus. Ghassan Doughlas, in charge of Israeli Settlements file at the Palestinian Authority in the northern part of the occupied West Bank, has reported that Israeli soldiers handed an official order to the Awarta village council. Palestinian villagers of Awarta and Rojeeb village, east of Nablus, own the lands that are located close to the Itamar illegal settlement. He added that Israel has been rapidly escalating expansion activities of the settlement on the expense of Palestinian lands and orchards. The official further stated that the newly issued military orders also indicates that the decision was made for “military considerations”. Former Arab Knesset member Talab Al-Sanea said that Israeli approval of the Prawer transfer plan in the Negev and its submission to the Knesset for voting would be a new nakba (catastrophe) for the Negev Arabs. Sanea, head of the higher steering committee for the Negev Arabs, told Quds Press that this Israeli plan is considered the most dangerous transfer scheme having been faced by the Palestinians of the 1948 occupied lands since their lands were occupied 65 years ago. He warned that this plan, if carried out, would lead to the annexation of 90 percent of the Negev people's land, about 860 thousand dunums, and the displacement of about 36,000 Palestinian Bedouins from their villages. He also described the plan in the Negev as ethnic cleansing and a racist measure against citizens holding Israeli IDs. The former lawmaker appealed to the UN human rights council and the European commission to intervene to halt this plan. "If this plan was sanctioned by the Knesset, we would declare civil disobedience in the Negev and would not comply with the law or allow the plan to take place, even if the price was the imprisonment of thousands of the Negev people in Israeli jails," Sanea stated. The Israeli occupation authority served demolition notices to a number of Palestinian houses in Silwan suburb in occupied Jerusalem on Sunday. Wadi Hilwe information center said in a statement that Jerusalem municipality teams, escorted by police forces, distributed the orders, claiming that those houses were built without permit. The center said that the teams delivered the notifications in Bustan suburb and photographed a number of other houses in the same suburb and in Wadi Hilwe and Bir Ayoub suburbs. Mazen Ode, owner of one of the threatened houses, told the center that the demolition notice was glued on his front door and that of his brother’s. He said that the teams photographed both houses, adding that his house, which provides shelter for ten of his family members, was built in 2003 and that he was still paying fines for its construction till the present day. 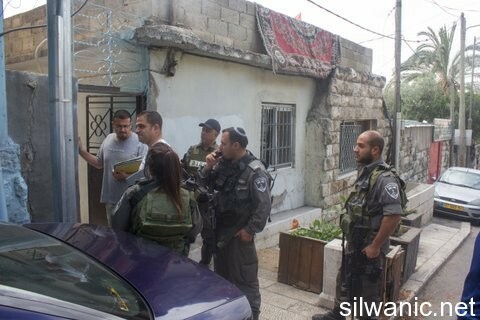 Israeli soldiers and workers of the Jerusalem City Council, invaded Silwan town, in occupied East Jerusalem, and delivered warrants against two homes. The Wadi Hilweh Information Center in Silwan, has reported that City Council employees and police officers invaded several neighborhoods, handed the warrants, and took pictures of a number of homes in the neighborhoods of Be’er Ayyoub, Al-Bustan and Wadi Hilweh. The center added that the two homes Israel intends to demolish belong to Mazin Odeh and his brother Wael, in addition to a home that belongs to members of the Ar-Rajaby family. Mazin said that the soldiers placed the warrants on the main doors of the two homes, and photographed the exterior of the properties. Furthermore, soldiers took pictures of the home of resident Abu Yousef Ar-Rishiq, that was built more than five years ago, in addition to a home that belongs to resident Jom’a Khader, built more than 30 years ago. 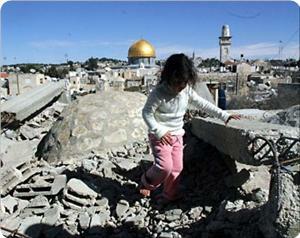 The attack is part of ongoing violations against dozens of Palestinian homes and property in occupied East Jerusalem. A few months ago, the Israeli Committee Against House Demolitions (ICAHD) has reported that Israel demolished more than 28000 Palestinian homes, businesses, livestock facilities and other structures in Jerusalem and the West Bank since 1967. In April of this year, Palestinian Field Researcher at the Jerusalem Affairs Department of the Palestinian National Authority, Ahmad Sob-Laban, stated that what Israel is doing in Jerusalem is a systematic policy that aims at removing the Palestinian population from the city. Sob-Laban added that. since Israel occupied East Jerusalem in 1967, it only granted the Palestinians 4000 construction permits comparing to 53.000 permits granted to Israeli settlers. The Israeli occupation authority (IOA) informed two citizens of Salfit governorate that they should evacuate vast tracts of their land within 45 days. Ghassan Daghlas, monitoring Israeli settlement activity north of the West Bank, said that the land is located in Burqin village, west of Salfit. He said that the 100 dunums of land is cultivated by Palestinian farmers from the village, adding that the IOA wants to control the land. Jerusalem municipality teams, accompanied by large Israeli military forces, stormed on Friday the house of citizen Hussein Kisswani, for the fourth time in a week, and handed its owner an administrative order to demolish his house. The house has been built more than ten years ago, on an area of 300 square meters, and is inhabited by more than twenty people. The municipal team has also notified the demolition of shops owned by Kisswani in Beit Hanina. The Israeli occupation forces had earlier demolished the house of Hussein Kisswani in Beit Hanina for several times, and arrested his sons.